Tom Shepardson is a member of Whiteman Osterman & Hanna’s Real Estate Development, Zoning and Land Use: Municipal: CleanTech; and Environmental Practice Groups. His areas of expertise include Environmental Law, Zoning, Planning and Land Use Permitting, and Compliance and Litigation. 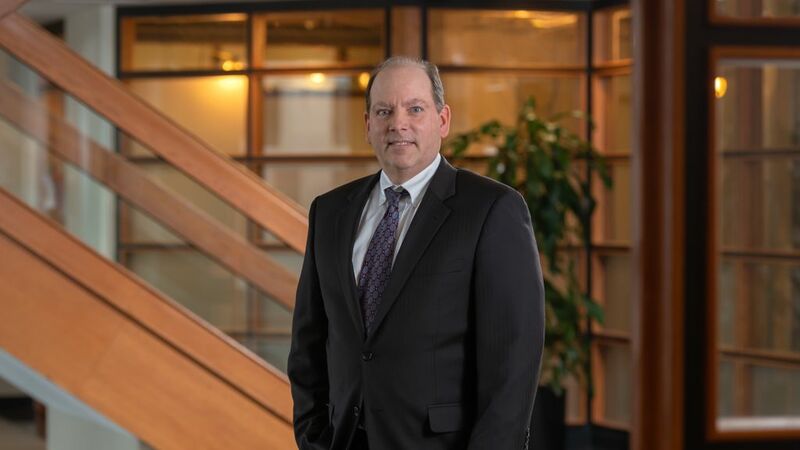 Prior to joining the Firm, Mr. Shepardson was an Assistant Corporation Counsel for the city of Albany from 1989 to 1997 and an associate and Shanley, Sweeney, Reilly & Allen from 1997 to 2005. Represented major shopping center developers through all phases of the environmental and local land use permitting process for numerous shopping centers, their expansion projects and other development projects throughout the State. Many of these projects involved controversy, and responsibilities involved creation of a solid litigation record before the administrative agency that withstood lawsuits by organized neighborhood groups and competitors. Mr. Shepardson’s practice also involves litigation defense of the administrative permits, land use approvals received and the environmental review performed. Special counsel to the City of Albany in connection with the Park South Urban Renewal Project seeking to substantially redevelop a blighted mixed-use nine block area of the city. Represented numerous developers of Projects through the intricacies of development in the Albany Pine Bush. Mr. Shepardson also was involved in the successful litigation defense of land use approvals and permits obtained. As an Assistant Corporation Counsel for the City of Albany, represented the Planning Board, Common Council and Board of Zoning Appeals and prosecuted building code violations. Argued case before the New York State Court of Appeals involving the “Padavan Law” and Federal Fair Housing Act, Rehabilitation Act and Americans with Disabilities Act in the Northern District of New York. Represented telecommunications provider siting wireless communications facilities across New York and successfully assisted a landowner in the enforcement of the 1996 Telecommunications Act against a municipality in federal court. New York State Bar, Northern District of New York and the Second Circuit Court of Appeals. He is a member of the New York State and Albany County Bar Associations. He is a frequent lecturer on SEQRA and planning issues. Mr. Shepardson is a local product, having graduated from Christian Brothers Academy, Siena College, where he lettered in varsity baseball for four years, and Western New England School of Law.